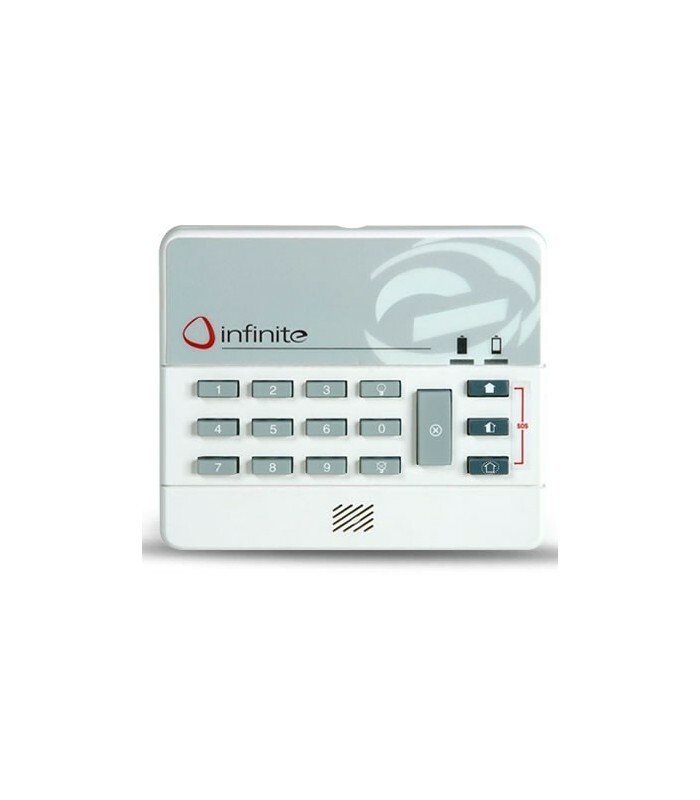 The EL-2620 is a wireless keypad for use with the Infinite Prime, iConnect and commpact control system. This keypad is primarily designed as an additional arming station, including three arming keys that enable Full, Part or Perimeter arming modes. Pressing the Full and Perimeter buttons simultaneously generates an SOS panic alarm. Additionally, the keypad may be used to control Home Automation modules.